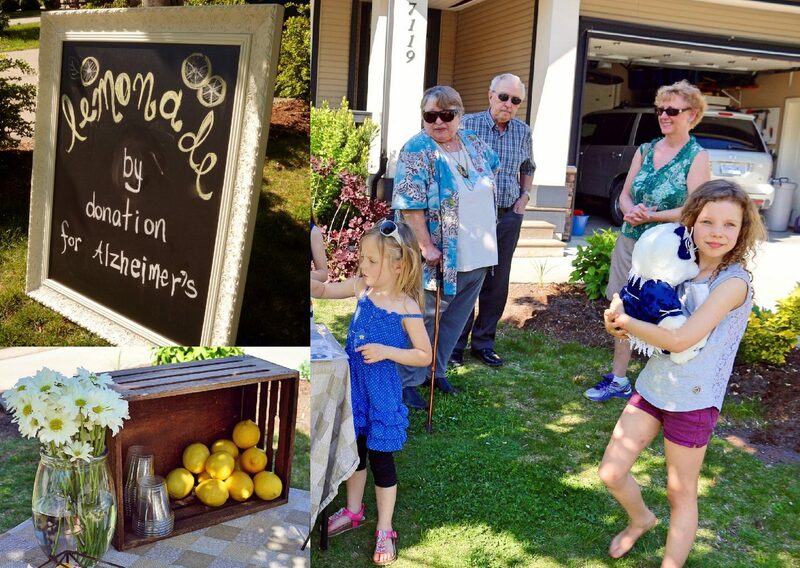 Magdelyn “Maggie” Epp (8, pictured far right) opened a lemonade stand to raise funds for Alzheimer’s disease after hearing about Fraser Valley Investors Group Walk for Alzheimer’s 2016 Honouree Ray Klapprat (pictured at back). She was inspired to help the man “who has a disease that takes his memories.” The 2017 Fraser Valley Investors Group Walk for Alzheimer’s will be held May 7 at the Landing Sports Centre in Chilliwack. Submitted by: Alzheimer Society of B.C.